It’s Halloween again, the time of the year where everyone is suddenly into anything spooky. 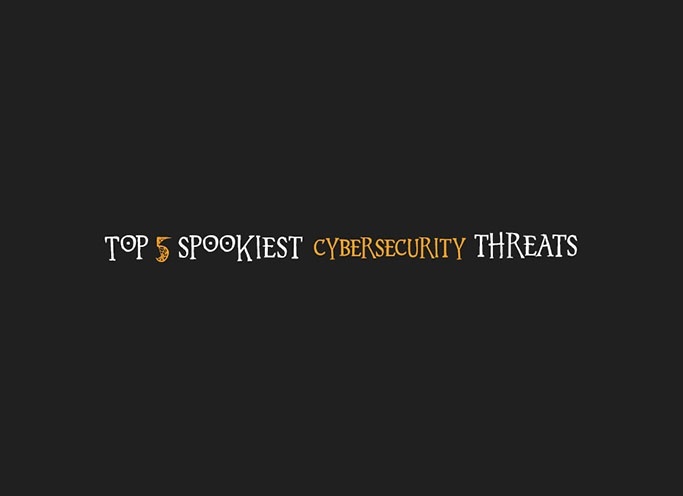 Unfortunately, in the online world there are some truly scary threats lurking all year round that should be avoided at all costs. And people get tricked all the time. A report published by Norton confirmed that last year 978 million people have been victim of cybercrime, with hackers stealing an astonishing total of $166bn from customers. And often, victims don’t just end up losing money but also valuable working time, as dealing with each cybercrime typically results in two full working days spent dealing with the aftermath. These eerie numbers mean that each of us should always keep an eye out for the latest cyber threats skulking in the shadow. And the best way to protect yourself is to exorcise exercise common sense and learn about the techniques used by hackers and fiends to haunt their victims. 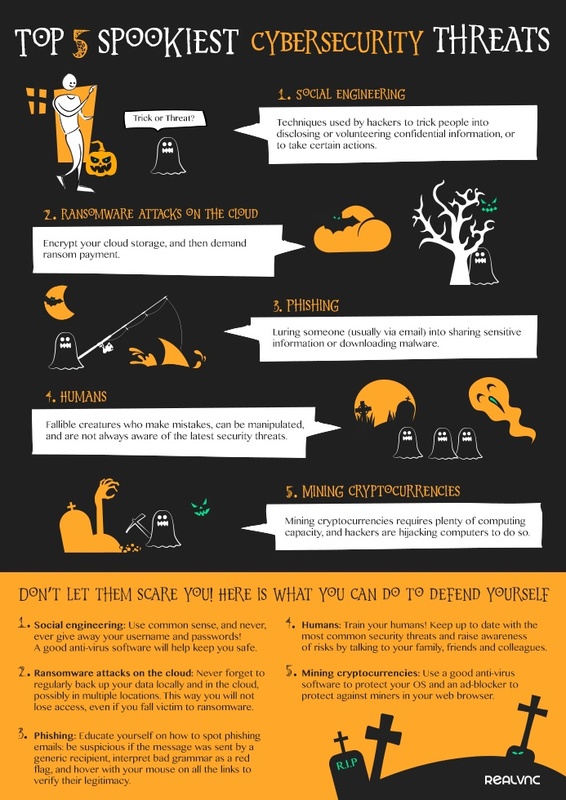 We made a Halloween-themed infographic to talk about some of the spookiest cybersecurity threats. If you want to know more about RealVNC's security strategy and the measures we take to ensure VNC Connect remote access connections are as secure as possible, check out our Security page.